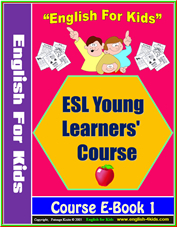 Mr. Futonge Kisito or Kisi as he is popularly called is the author of this E-book and other ESL/EFL products. Kisi has been a TEFL teacher at home and abroad since 2001. As a teacher Kisi has always loved to create materials for his lessons. At the beginning of his TEFL career, he struggled with finding materials that best met the needs of his students and his teaching style. It was at that point that Kisi thought of creating his own materials. He soon found his stuff becoming popular among teachers and colleagues he shared them with. This is how his journey began as a project and content developer for ESL/EFL. Teachers know that sometimes there is no time to really sit down and create the materials needed to include in their lesson plans. It was against this backdrop that Kisi saw an opportunity to help. Using his extensive and on-going teaching experience, he decided to set up 6 ESL and language sites for English teachers and students. Kisi language escapades do not end in ESL; he is also the author of chinesefortravel.com, a website that he set up to help anyone acquire the Chinese language themselves. He currently teaches in China where he works as a full time teacher and part time project developer for EF - English First Language School. Kisi is also the author of other ESL E-books and Courseware that are hot on teachers and educator's shopping list. ESL Galaxy : www.esl-galaxy.com - A Free ESL Lesson Plan resource site with tons of printable exercises. English 4 kids - ESL Kids Lab - www.english-4kids.com or www.eslkidslab.com - a mega resource site for ESL Young Learners. Englishmedialab.com: Tons of interactive videos and self-grading exercises for English students of all levels. ESL Tower: www.esltower.com . This site brings together the finest works of Kisi. Printables for Grammar, Vocabulary and Pronunciation, Computer-assisted quizzes and videos for all learners. Download-ESL.com: This is your source for kisi's ebooks and products for ESL teaching and learning. ChineseForTravel.com: Learn Chinese online with mp3 downloads and more provided by Kisi.